Belgium today is a very small and cosy European country, but one shouldn't underestimate this nation. Belgium is not just and not only the Flemish lace, the Liège waffle and the chocolate of Brussels ... Since the founding of this country it was a small sharp-toothed predator, and back in the previous centuries it had huge overseas colonies. The stable position of Belgium as a major power was also provided by strong efficient army with a long military traditions. Nowadays many international organizations, primarily NATO has their headquarters in Brussels - this is just an echo of the glorious past of Belgium. 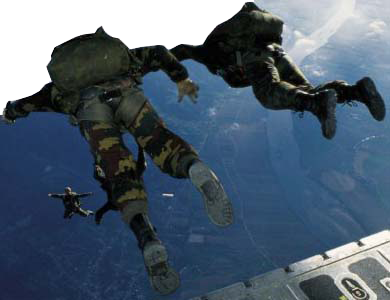 A division of the Belgian para-commandos (paratroopers commando) is one of the oldest in the world. The Belgian paratroopers enjoy well-deserved recognition of their foreign counterparts due to the high level of training, high mobility, operational readiness for the challenges anywhere in the world. The glorious history of these units began in England in 1942, when a company of Belgian volunteers were trained by the famous British "SAS" specialists. During the Second World War, the Belgian commandos took an active part in the Allied operations in North Africa, Italy, Yugoslavia, the Netherlands and Belgium itself. The red berets and insignia of the Special Air Service (SAS) proudly worn by modern paratroopers is still the reminiscent of that events. In the 1960-70s, the Belgian para-commandos have participated in the fighting and rescue operations of European settlers from African rebels. Even Germany, which at that time was deprived of the opportunity to have a similar unit was forced to seek the help of Belgian paratroopers to rescue their citizens. 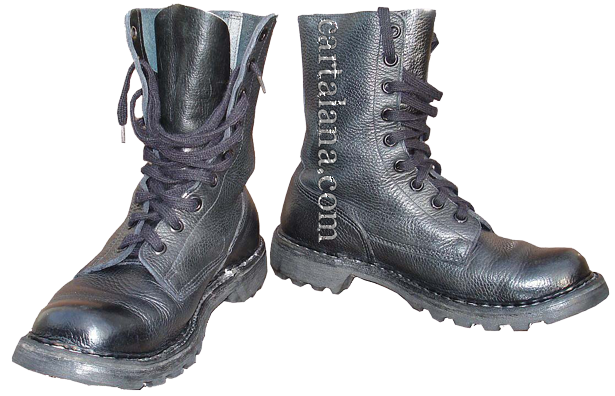 The introduction of high-laced combat boots in the US Army began with paratroopers. They were the first to wear the "Corcoran"-type high-laced brown boots, which were designed in the year 1940 to protect the paratroopers against occupational injuries like ankle sprains and dislocations. For the paratroopers these boots were a subject of pride and envy of all the other branches of service. The contemporary marines wore low boots with gaiters, and even the "brothers" of regular paratroopers - the glider paratroopers, which had to land from air planes somewhere behind the enemy lines on silent non-motorized gliders, had to wear the same boots as the foot soldiers. 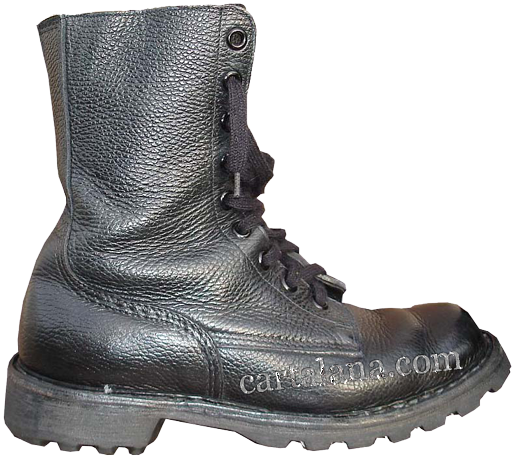 Later, during the Korean War, all the other units of the US armed forces started to wear the high-lace boots. As for the Belgian military of the 1940-1960s, the situation was similar. While paratroopers wore high boots, all other had to wear low boots (quite similar in construction and tread design) with canvas gaiters, which featured semicircular leather lining patches, sewn inside to protect the malleolus bones. 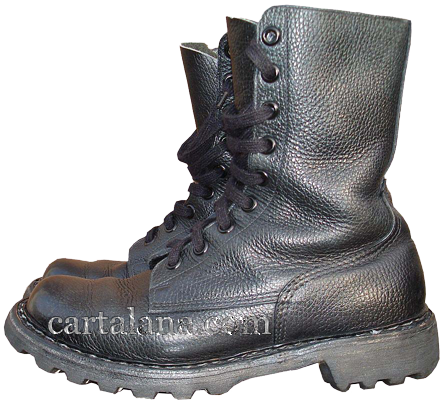 By the late 1960s, already all the Belgian military staff wore the high-laced boots. According to my personal customer feelings, the Belgian army boots are one of the most robust and user-friendly boots I have ever worn. Successful yet simple design, robust glued and stitched out-soles made of hard vulcanized rubber, durable but soft grain leather, easy lacing make these "ankle boots" very recognizable. 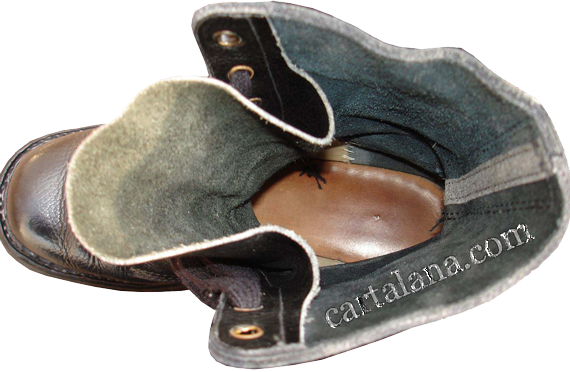 The boot's tongues are stitched to the top on the level of seventh pair of eyelets (semi-closed flap) - this helps to protect the feet from ingress of water up to that level. The leather is thick, but very elastic, the grainy structure provides some cushioning to protect from minor injuries. The out-sole tread "double Y"-pattern is also of a unique Belgian design, easily distinguishable from all the other patterns. 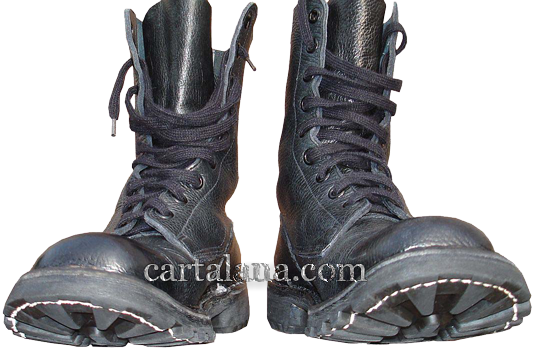 It is often called "RUGAK" by the name of the developer and biggest mass producer of these boots at that time.